Unexpectedly, I find myself in possession of 3 jump capable ships (4 counting the Sin) and a total of five capital class ships. The Orca counts (technically) as a capital ship. It is the baby capital. The Charon is also one too! They require capital ship construction to build. Beyond that, I have Snowflake, my Thanatos who I can fly (if not that well yet) and use for a suitcase. There is my new Chimeria (not yet named), who Kenrin was kind enough to rig up for me before Odyssey hit and my rig cost went from something reasonable to 3 times the cost of the ship. I now have a leased Jump Freighter which will improve my life and give me a new level of stress at the same time. However TCS will now be stocking more, larger hulls. Capital ships have an amazing ability. That is their jump drive. That drive allows them to cross vast amounts of space in a few breaths. It is what allows Pandemic Legion to hot drop your cruiser gang from their staging system. It is also what makes cynosural fields the life blood of a capital ship pilot. The entire realization, as I logged in and moved the Rhea out of its mothballed location and to Bosena for later sorting out, that I am not only a capital pilot (Chella and another alt if we get technical) but I am somewhat familiar comfortable with the basics of moving them. That's as far as I'll go. But moving capitals is not something that everyone spends their time fretting about. However many do and I am now one of many. I forget that a large portion of the game has no interaction with capital ships outside of the fleets of Orcas and Freighters that flow across the space lanes of high security Empire. That capitals may be a mythical creatures of vast power and size. I forget that not everyone knows the tense stress of being a capital pilot and the various levels of helplessness that it also entails. They don't spend their time pricing cynos and liquid ozone and making sure to have hoarded piles of isotopes in important positions. I never needed isotopes. What were they? Now I have piles of them everywhere because I am terrified of running out. The fear of being stranded. The expensive, fragile box that relies on a fully different account to make it from point A to point B. And those points have limitations as well. I think one of the first things any capital ship pilot does is make a series of cynosural field capoable alternate characters. These characters are scattered around space, with a stack of ships in their hangar ready to undock and create beacons to move, or to save, the capital ship pilot. And you always need more. However, these beacons work under a series of their own laws. I am no cyno expert. I won't do anything adventurous with a cyno. Not when someone is trusting me to get their capital where it needs to be. That includes myself. 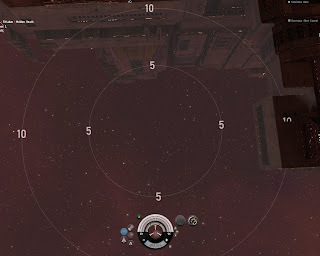 As I have been taught, a capital ship appears within a 5k circle (square?) from the center of the cynosural field. If said ship hits a structure it will bounce. Capitals are slow. Very slow. Slowing down from a bounce is hard. "Why am I going so fast?" they ask, waving their nubbly little legs (if Moros) and going, "weeee" as the actual pilot goes, "nooo!" When cynoing into a station the undock needs to be large enough to allow the ship time to count down its 10 second dock counter and dock before it bounces out of the range of the station if the cyno is poorly placed. Positioning that cyno is important. It is something that has to be taught and worked through. Blindly asking someone to light a cyno may wind up with a multi-billion isk disaster. I once nipped this in the bud when I saw someone ask someone else to light them a cyno. The lighter agreed. I happened to know they'd never let one before and had no idea what they were doing. The scent of a jump freighter or carrier careening out of control will attract sharks from systems away. 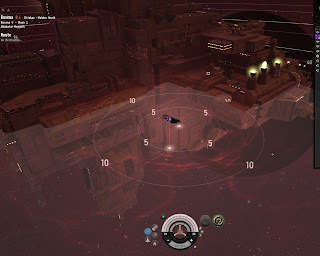 The above image looks as if it is a gorgeous Amarr station back dropped against the bestness of red space. Lean forward and inhale. One may scent death in this image. If one is to look closely the ghosts of countless capital ships moan as they circle the station looking for its minute dock radius. Let me introduced you to Oddelulf, Station 1, home of Ueberlisk, the boatman and King of Oddelulf. Ueberlisk lives in the top station in Oddelulf. This station also happens to be a kickout station. 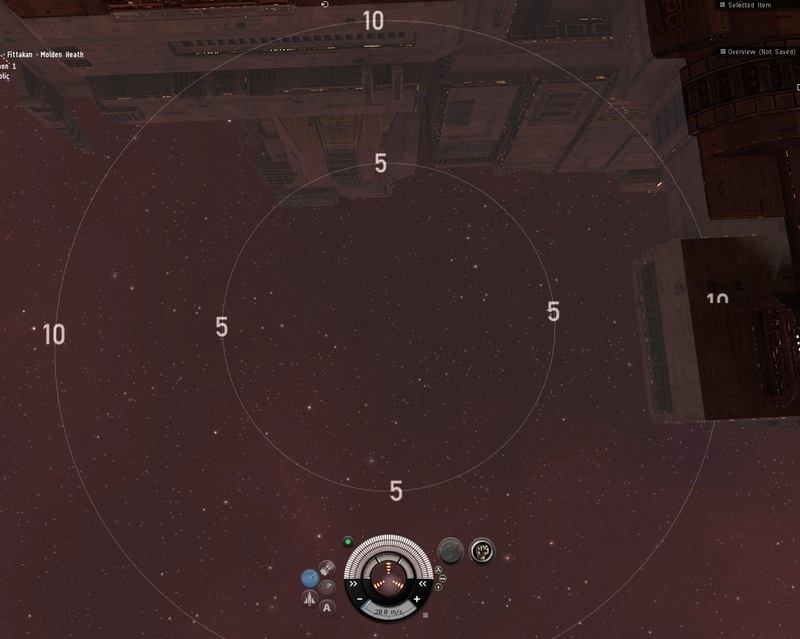 The undocks on stations like these is very, very small. 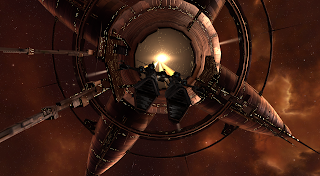 However, people like to cyno their carriers and jump freighter's onto the station and undock them. What seems innocent suddenly... is not. Sometimes this happens or that. Sometimes this happens and then that when someone tries to rescue themselves. And he hunts as well so this, and that happens to. 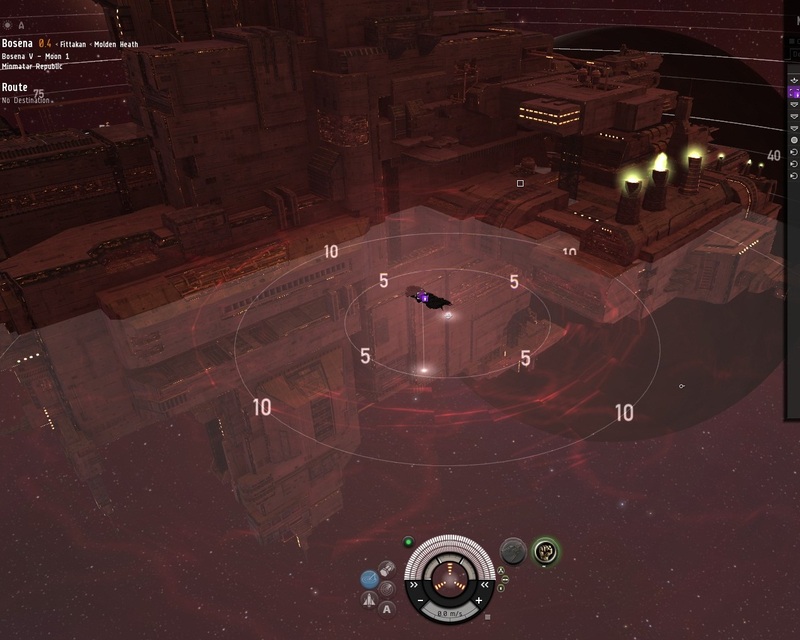 But the amount of absurd things that happen on that undock amazes me. They are not only bad cynos they are bad station choices. All worries that you have as a capital pilot that you do not have (as much on the station thing but still concerns) with regular ships. That is why it is important to teach people how to place cynos. I have all of my accounts cross training as cyno pilots. I've been working to create a stable of emergency cynos in every accounts hangar in case things go bad and someone needs to undock right now. It takes a week to get it done and it is invaluable. Capitals are our logistic workhorses outside of high security space. I'm not arguing or commenting on force projection or the old days that existed before I spawned into existence and started blogging everything I laid my eyes upon. If your life is going to involve capital pilots, ask someone to teach you how to place your cyno and learn cyno to IV. It may come in handy at that most unexpected time. If it comes down to an emergency exit cyno being needed you want everyone capable of helping the capital fleet bail. Azual wrote up a very nice article on moving capitals, from jumping to cyno placement. It helped me enormously when lighting my first cyno. "Capitals are our logistic workhorses outside of high security space." The very mention of capitals being excellent logistical boats and low sec or null sec being viable for logistical movement and that just as much logistics happen in these areas of the game as in high sec but they just happen in different formats. True a high sec freighter moves more than a jump freighter. A bowhead carries more assembled ships than a carrier. But! neither of those ships can take a hop skipping 5 plus systems at a time! Low Sec residents use different ships as logistical workhorses and logistics, including large project logistics, do happen there and its awesome to see someone just put it out there!